Phil is back. 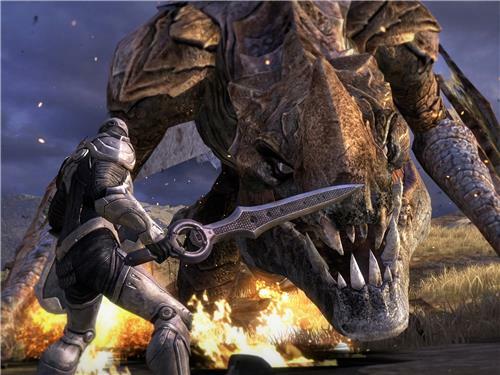 "That is a level of graphics performance you have never before seen on a mobile device." "But that's not the end of the story in the architecture. 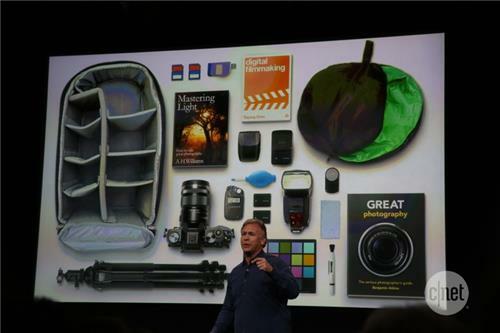 We have a completely new part in the iPhone, we call it M7." A motion co-processor. Enables new generation of Health and Fitness apps. It's a motion co-processor. It aggregates and monitors accelerometer, gyro, and compass data and offloads it from the A7. 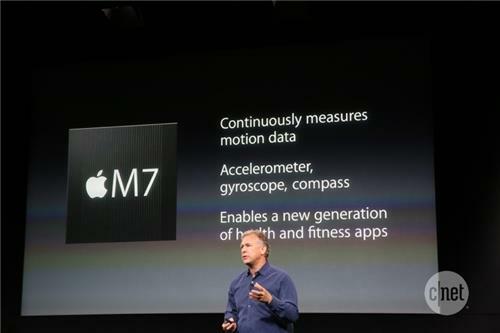 M7 motion coprocessor works alongside A7 and takes advantage of sensors--accelerometer, gyroscope, compass--to measure motion data continuously. Enables a new generation of health and fitness apps. 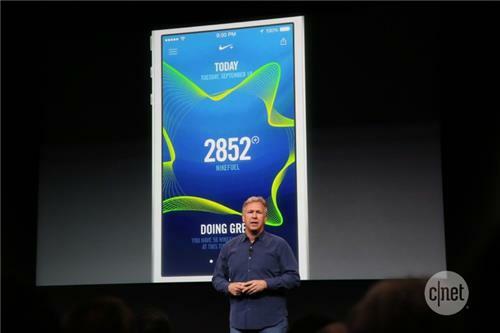 Phil says this will enable a "whole new level" of fitness apps. 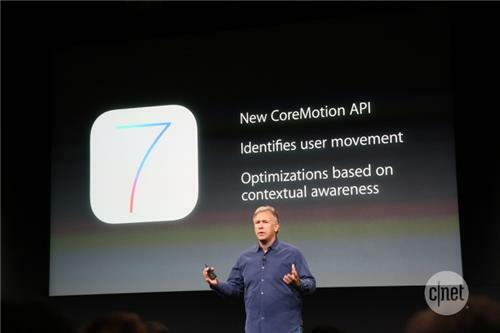 The CoreMotion API in iOS 7 will be updated to characterize data, to let devs know whether you're walking, driving, etc. Apparently helps optimizations based on contextual awareness. Oh boy. Health baked-in. Nike. Making new app Nike Plus Move. "We've been working with developers to do this. They're doing amazing work." 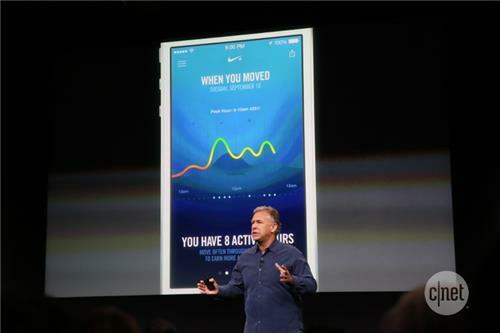 Nike got a heads-up, creating an app called Nike+ Move. It can characterize and analyze data to tell if you're walking, running, or driving. Apple has been working with Nike to take advantage of this. Nike+ Move is designed to help athletes stay motivated, fit, and active throughout the day. 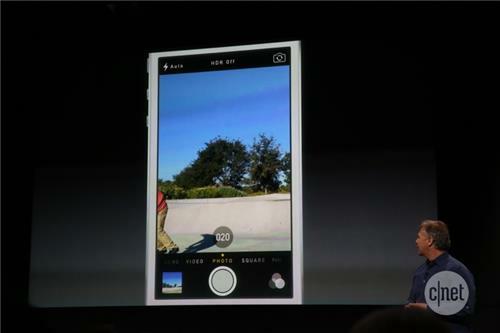 Apple's on-screen iPhone 5S demos show a new home button with a ring around it. Is this the fabled fingerprint sensor? It keeps track of what you're up to, tracks your Fuel points, and lets you compete with friends over GameCenter." 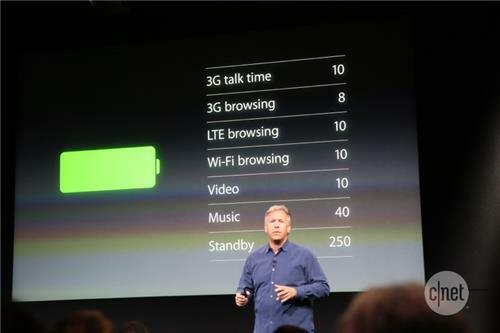 "A7, M7, a lot more performance... what about battery life?" "Equal or greater than the iPhone 5 had." 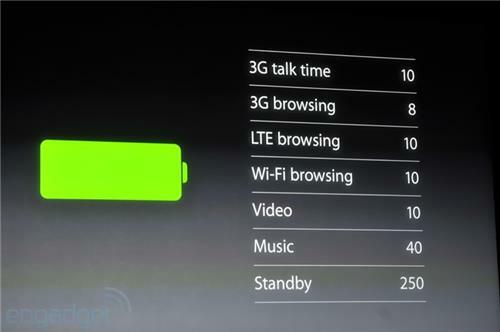 10 hours of 3G talk time, 10 hours of LTE browsing, 10 hours of video. What about battery life? Equal or greater than iPhone 5 with 10 hours 3G talk time, eight hours 3G browsing, 10 hours LTE browsing, and 250 hours standby. Hmm. Claims of 10 hours of LTE browsing, Wi-Fi. 40 hours of music. 250 hours standby. Main battery life claim not a huge leap over last year. 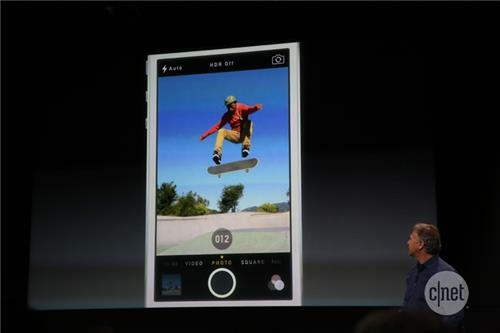 "That's the first of our breakthrough technologies in the iPhone 5S." What next? 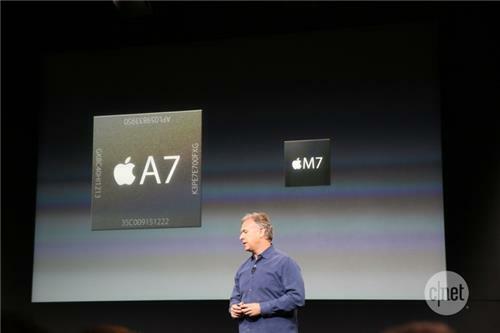 The new M7 chip's biggest accomplishments, I'm guessing, are its power consumption and its movement/sensing algorithms. The hardware itself is probably the least remarkable part about it. Why, camera next. 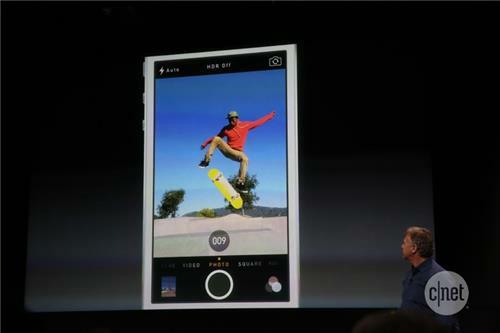 "People love taking photos with their iPhones and its iSight camera." The M7 is very intriguing. Wonder if that re-emerges in an iWatch. 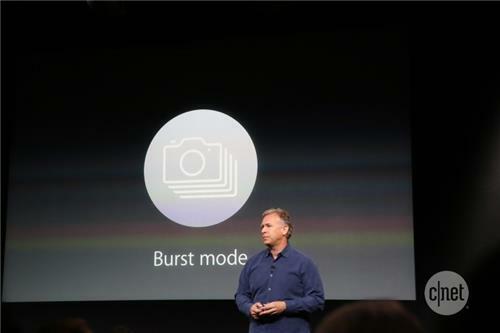 Burst mode will help me get a picture of Al Gore next time. So, what do you all think so far? "Now, if every time you did this you'd have to go to your camera roll and sort through your photos, the fun would be lost." But, of course, Apple has your back. 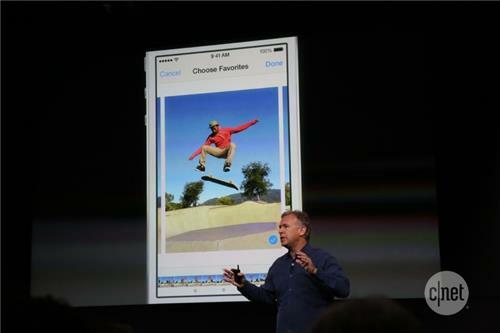 The Camera Roll will present its favorite, and you can look at the rest if you like. iPhone now has two flashes, making it twice as annoying when foodbloggers snap pics of their plates in dimly-lit romantic restaurants.